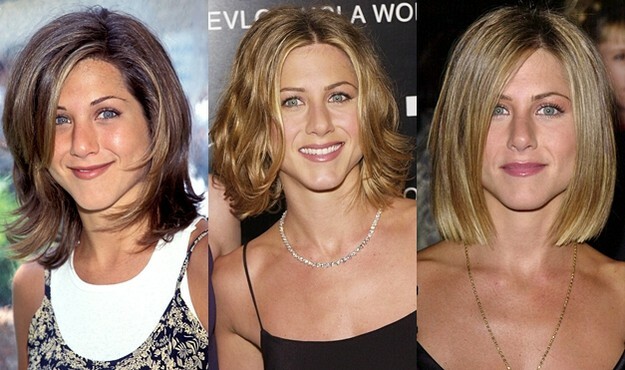 wow ... it´s jennifer aniston? she is amazing!!! In Vivienne Westwood dress, Christian Louboutin shoe and her new golden blonde shade. 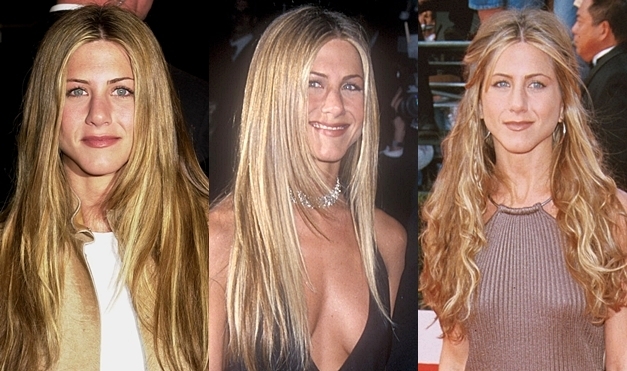 Michael Canale is the man who change Jen´s hair shade. She is 42 but she has the courage to change her hair shade. I think she look great! Jennifer launch her new fragrance at Sephora Lexington Avenue in New York City. 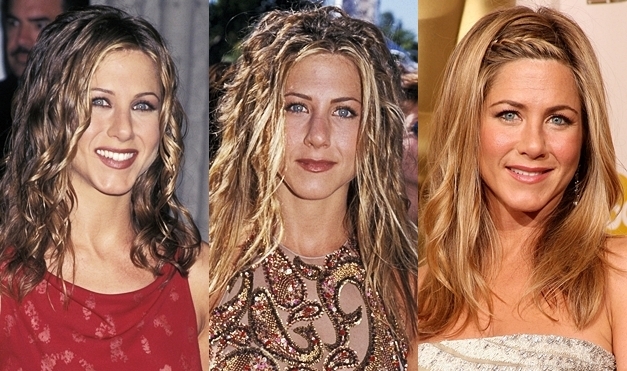 New fragrance named "Jennifer Aniston"
in friends :) I had a hairestyle like Jen in 1995 ... and I was not the only one in our class :))) it was trendy have haire like Rachel !! !